The Executive Director People & Culture will lead Berry Street’s strategic, customer-focused human resources and organisational development functions, partnering with the organisation’s leaders to champion its culture and values. Your focus will be on developing the Berry Street team of over 1300, creating career pathways and fostering a community of high performance, innovation, and passion. 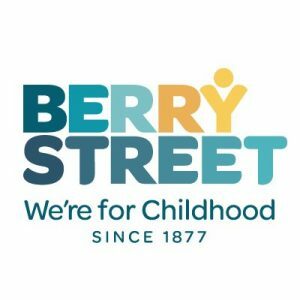 You will oversee strategic development of training programs for professionals working in the child, family and education sectors, be the lead executive for supporting and valuing the Berry Street people. Reporting to the CEO and forming part of the Executive Leadership Team, the Executive Director People and Culture has direct reports and plays a key role in leading Berry Street’s dynamic workforce. As an energetic and accomplished strategic HR leader you will contribute to shaping the strategic plan and direction for the next exciting phase of the organisation’s growth. A strategic thinker you will bring experience operating at an Executive level and interfacing where required with the Berry Street Board. Tertiary qualified, you will have demonstrable experience in leading the delivery of high-quality HR services, with an ability to be innovative and solution-focused in Berry Street’s complex and rapidly changing external environment. You enjoy combining creative thinking with detailed analytical skills and offer an inspiring coaching approach to the talented people you’ll lead. Working closely with a range of internal and external stakeholders requires excellent interpersonal, communication and representation skills which will be essential for success in this role. At Berry Street, we’re proud of our 140-year history of providing high quality services and support to children, young people, women and families. With a multidisciplinary team passionate about delivering our diverse range of services, we’re making a real difference in the lives of thousands of Victorians every year. Please quote in application: Executive Director People & Culture via Pro Bono Australia.